We are now accepting submissions for the annual high school essay contest! Anabaptist youth who are of high school age within the U.S. and Puerto Rico are eligible to enter and win up to $750! The deadline for submitting essays is January 25, 2019. Learn more. Immigration: A judge in Texas refused to temporarily halt the Deferred Action for Childhood Arrivals (DACA) program in a case that will continue to wind its way through the courts and is likely to eventually come before the U.S. Supreme Court. Of the almost 2,700 children forcibly separated from their parents at the border, more than 500 remain separated, most because a parent was deported without them. Read more immigration news and find resources for taking action on separated families, federal funding for immigration enforcement and refugee resettlement in the August immigration update. Palestine and Israel: The State Department announced it is stopping funding for the UN agency that provides services to Palestinian refugees, making permanent the freeze that was imposed in January. In addition, the U.S. said it will stop $200 million in funding for projects in the West Bank and Gaza. 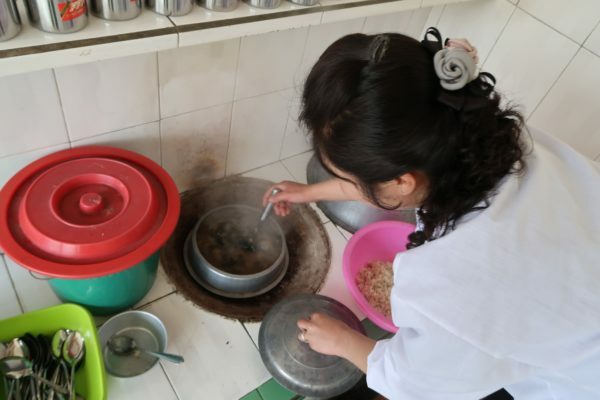 Photo:: A cook prepares a meal using MCC canned meat at a pediatric hospital in the Democratic People’s Republic of Korea (DPRK). Name and location withheld for security reasons. MCC photo/Jennifer Deibert. 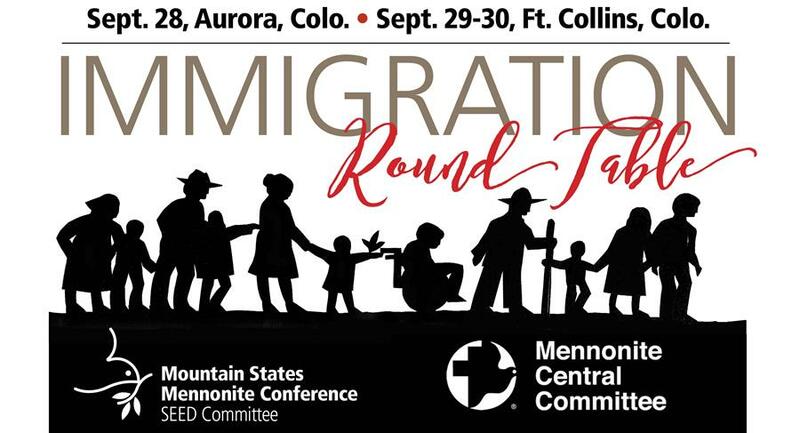 Immigration Round Table, Mountain States Mennonite Conference, Aurora and Fort Collins, Colo. Tammy Alexander speaking. On August 11, Charles Kwuelum spoke at a fundraiser for Mennonite Central Committee’s emergency response in the Kasai region of the Democratic Republic of the Congo. On August 13, Charissa Zehr co-led a breakout session, “Peacebuilding: Aid, exchanges and advocacy” at the Knowing North Korea conference held by the National Committee on North Korea in Washington, D.C.
On August 24-25, our office enjoyed having an exhibit table at the Sing Me High music festival in Harrisonburg, Va.
MCC advocacy office staff met in Ottawa, Ont. on August 27-28 for our annual meeting. Learn more about the work of MCC’s Ottawa and United Nations offices.